Pol or पोल (in Hindi ) refers to a specific type of gate and is a part of an outer perimeter of the premises. One of the distinguishing feature of any Pol is the presence of large wooden gate with a smaller gate framed into it for a greater control on the ingress. The wall must be high and broad enough to allow installation of such a gate. In earlier times such Pol was heavily guarded and controlled as these were the only entry and exit points of the city. They formed part of the primary defense of any city or settlement. Pols were not unique to Jaipur rather they were common across Rajasthan and rest of India. Such gate designs were prevalent even in places like Morocco. So what was the unique factor? The architectural style. Each city or region had its own architectural style. Even in Jaipur, one can find variations in architectural style among such gates depending on the year in which they were built. By the way, most of the havelis in Jaipur also had smaller version of these Pol. Here are a few pictures of Pol and gates in Jaipur. The last gate to be built in walled city of Jaipur- New Gate. Pol of Charan Mandir (temple) near Nahargarh Fort, Jaipur. Pol at Ghat ki Guni, Jaipur. One can see Pol at the other side too. To check out write up on Ghat ki Guni click here. Pol at Diggi Palace during Jaipur Literature Festival. Another picture of the same Pol from the other side on a different occasion. For a change here are two pictures of Pol in black & white. Pol at Samode Palace in the village of Samod, near Jaipur. Below picture was framed in Amer town, near Jaipur. Some undoubtedly beautiful Pol there, for sure! Lovely pics and interesting article, thanks for sharing this. 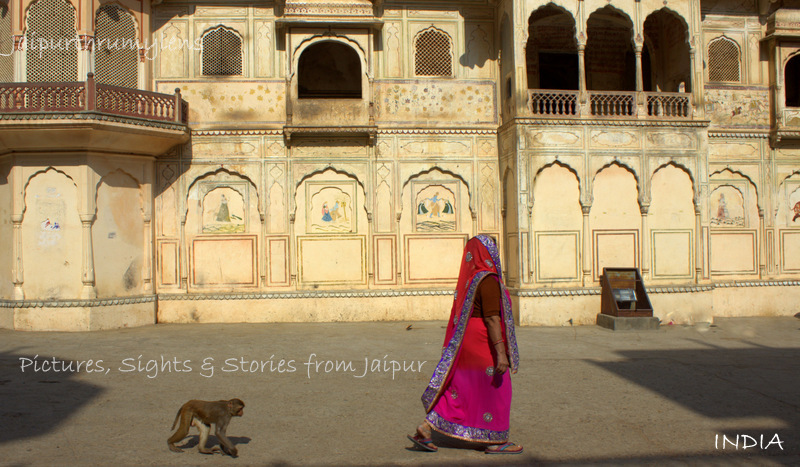 Pingback: Jaipur Then & Now- Tripolia Gate – Jaipur Thru My Lens !! Thank you for sharing the link. The Jaipur Pols seem to be well maintained as compared to their Ahmadabad counterparts. The gates are beautiful. Too many places and too little time on this planet. That’s a big dilemma we all face. Someday… Perhaps! Exactly! I keep saying this always! Previous Previous post: Janmastami Celebrations in Jaipur/ Why Jaipur loves Govind Dev Ji?